Torta Della Nonna is a hidden little gem located right by Rabin Square, off Gordon Street. 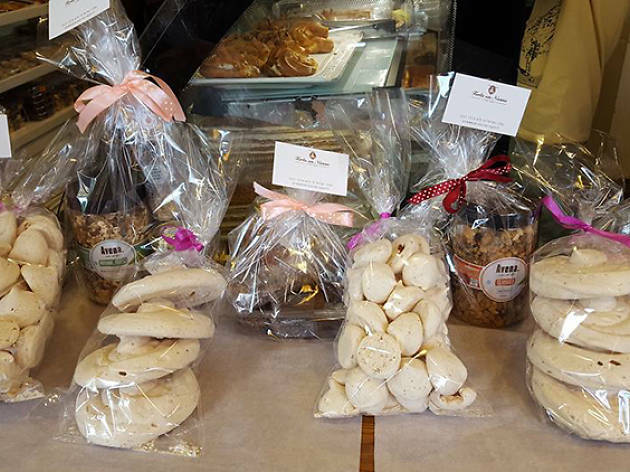 If you're a fast walker, you may have accidentally overlooked this lovely little bakery and café, but next time you are in the area, you must stop and try one of their delicious treats. Torta Della Nonna, which in Italian literally means "Grandma's cake," will give you that exact experience. As you set foot inside the establishment, you will leave Tel Aviv and find yourself at an Italian grandmother's kitchen. 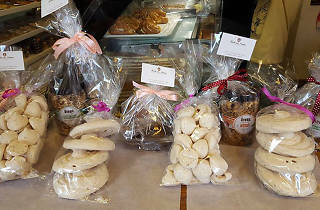 Make sure to try their Amaretto cookies and their challah, a not to miss each Friday.